I’ve heard of putting lots of things in burgers, but never soup. Until now. 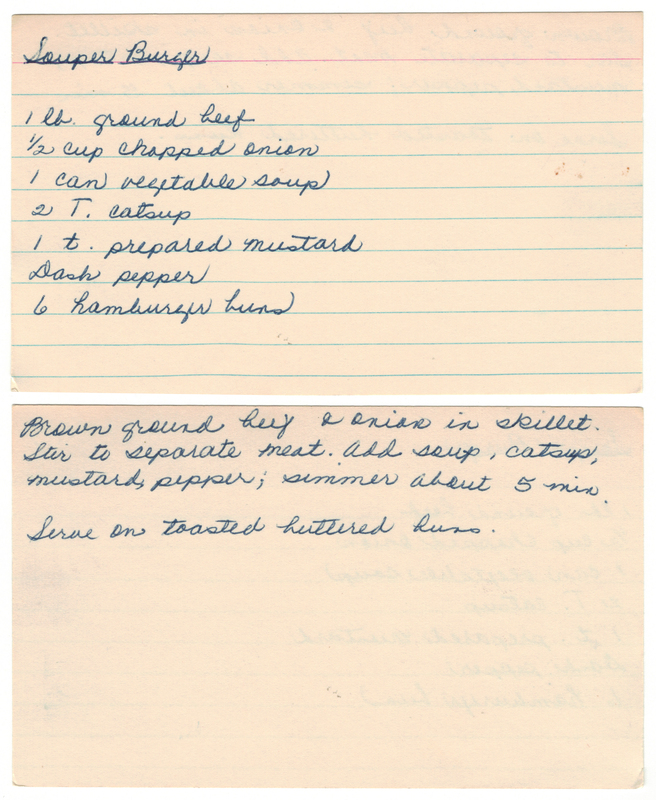 I’ve made, enjoyed, and posted quite a few soup recipes from my Mom, “Betty’s”, cookbook so there’s no doubting her love for the stuff. Whether they’re served cold, hot, thick or not – these sensationally savory bowls that epitomize “home” itself deliciously nourish the soul. One of my childhood favorites is this cheese soup that was served at Jim’s Restaurant’s rooted in 1960s San Antonio. Jim’s was our go-to place for an outside meal, which was a rare treat in our home! There are still 15 Jim’s in San Antonio and 3 in my current hometown up the street in Austin so it’s nice to see that Jim’s has survived the test – and taste – of time. The most popular soup at Jim’s is this Canadian Cheese Soup so I’m happy to add it to the digital archives here at Betty’s Cook Nook! Make a bowl and you’ll see why! 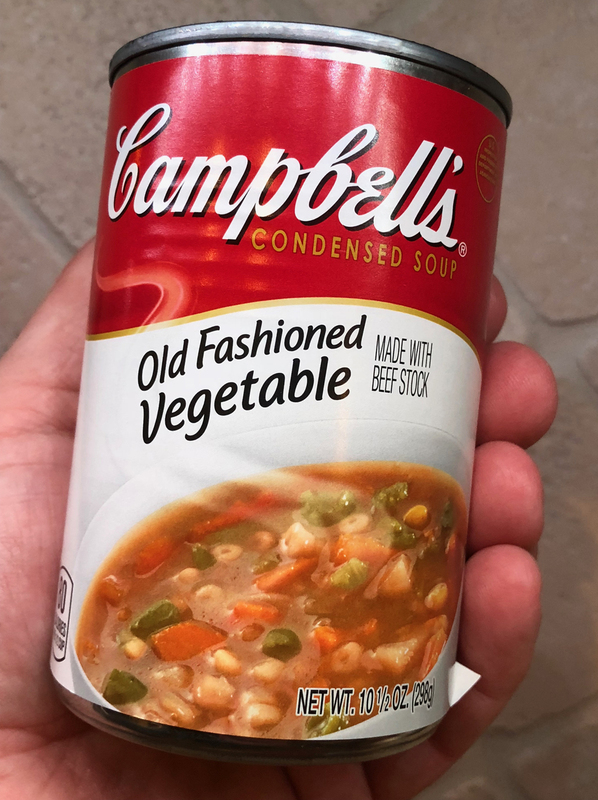 ❤ For my vegetable soup I chose Campbell’s Old Fashioned Vegetable Soup,shown below. Campbell’s has been a trusted friend of our family since before I was born. ❤ Mom would have likely served these burgers alongside a chilled salad. 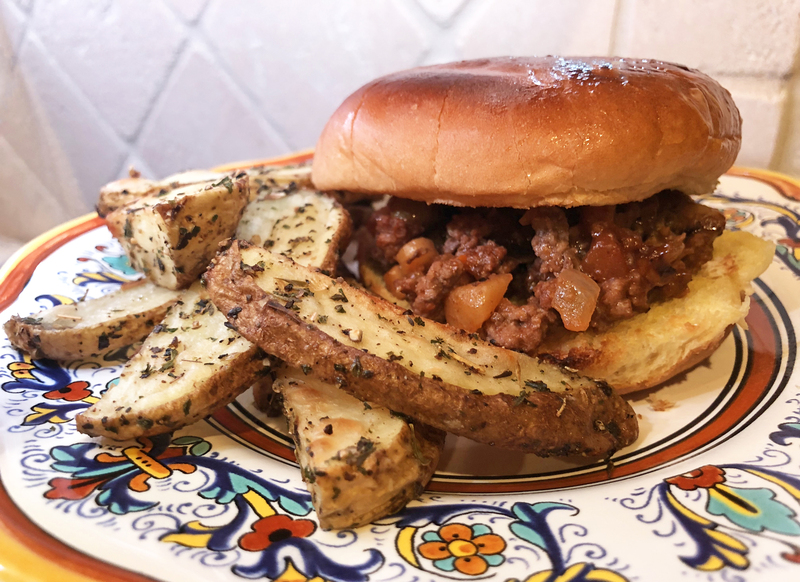 I would also suggest some of my favorite “less leafy” sidekicks: Blue Cheese Bacon Twice-Baked Potatoes, California Potato Salad – even these home favorite “Hatchbrowns!” My hips don’t lie. To prepare: About 15 – 20 minutes. 1. 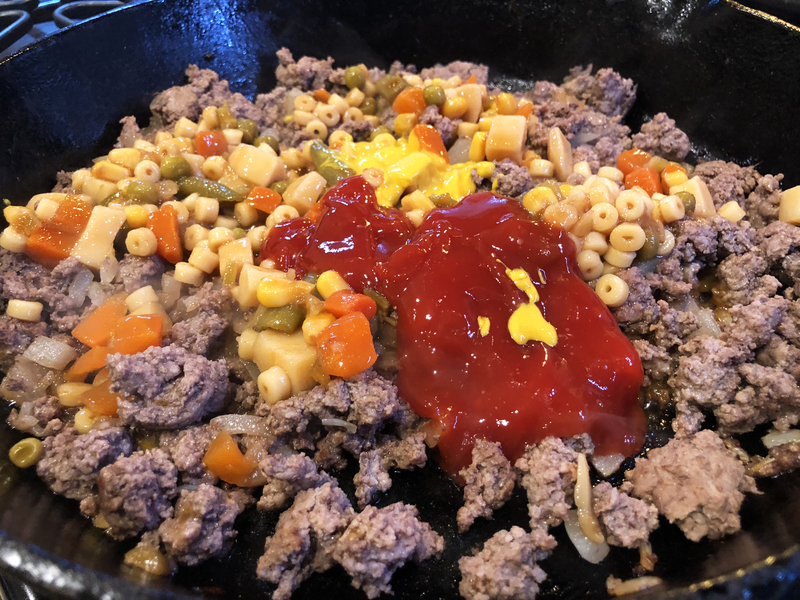 In a skillet over medium-high heat brown the ground beef and onion. Stir to separate the meat. 2. Add the soup, catsup, mustard, and pepper; simmer about 5 minutes. 3. Butter your buns and toast them in an oven (or your favorite heating device). 4. 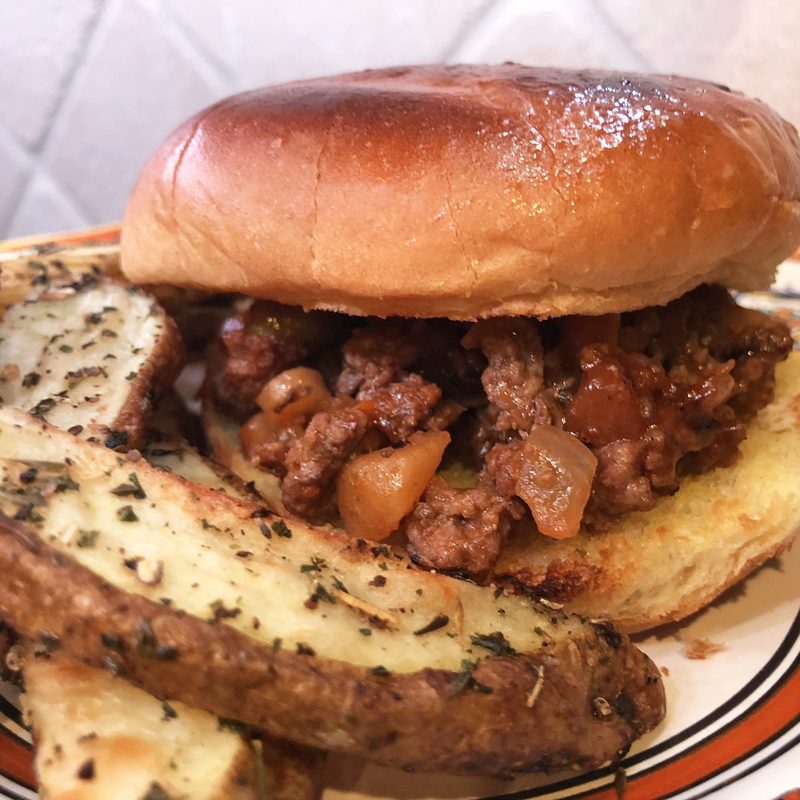 Scoop and serve the souper burger mixture onto the hamburger buns and enjoy!